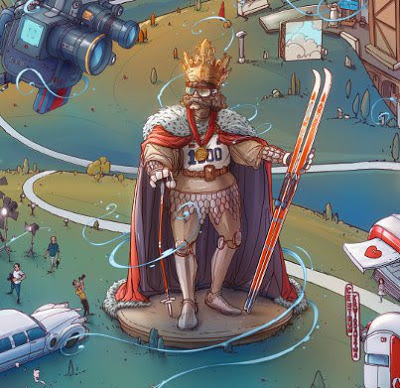 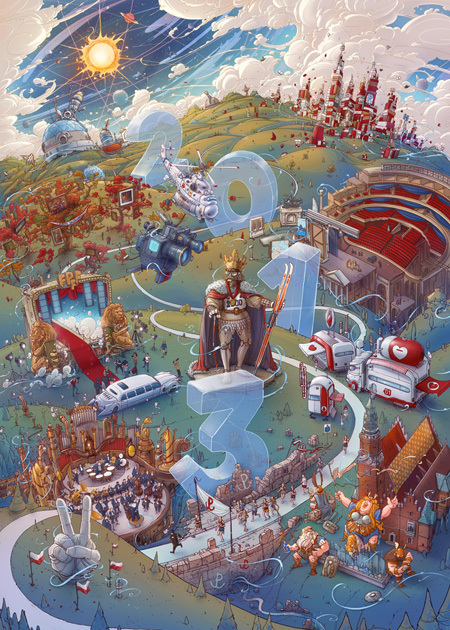 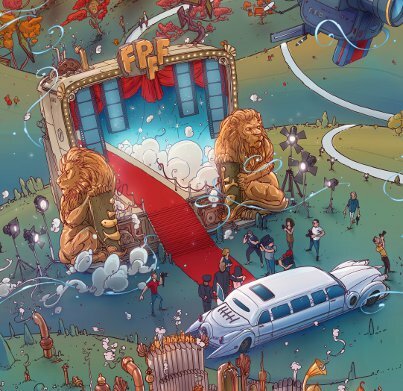 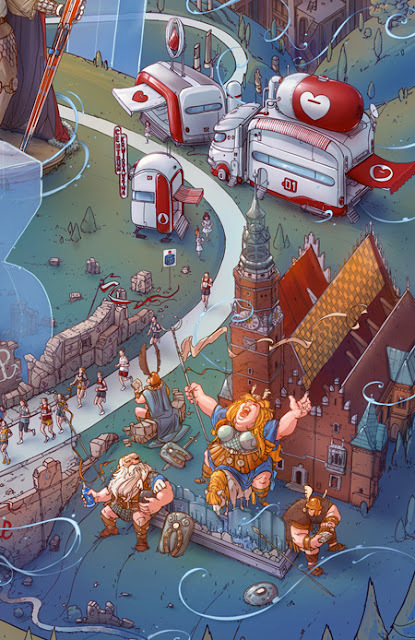 Since 2011, Michal Dziekan has been working on a major ad campaign for PKO, a Polish bank. To date, he has done over 70 individual illustrations that were showcased in Poland on billboards, magazines, online, etc (you can see it all over PKO's facebook page). 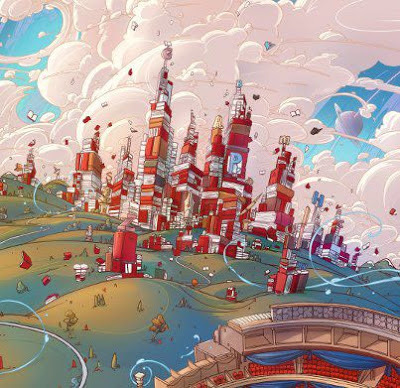 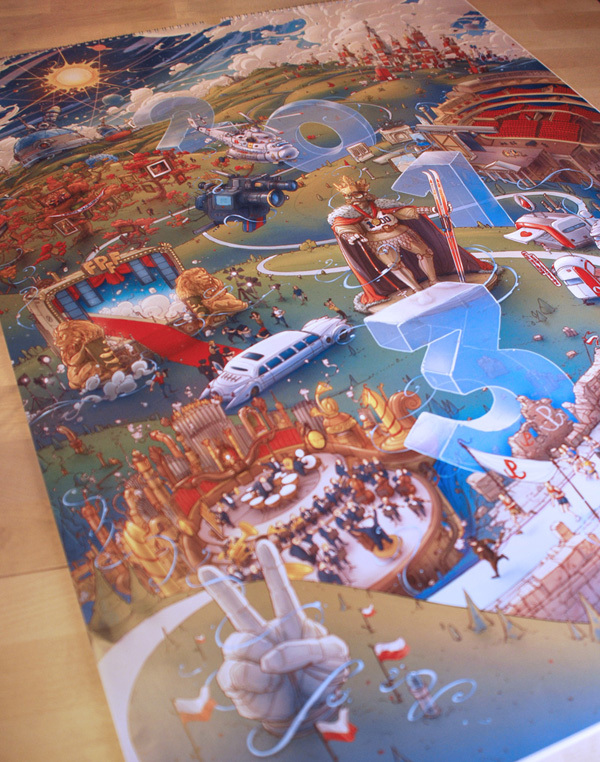 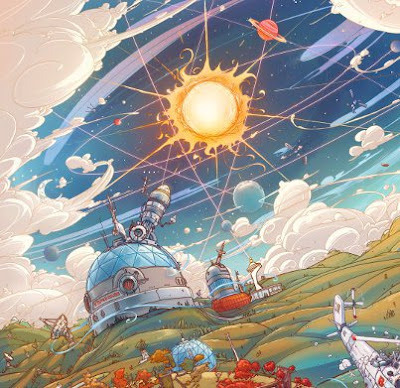 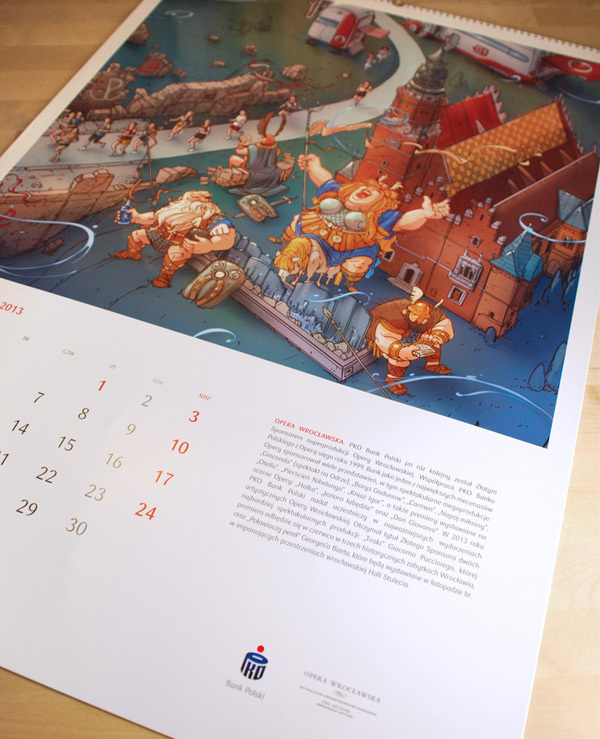 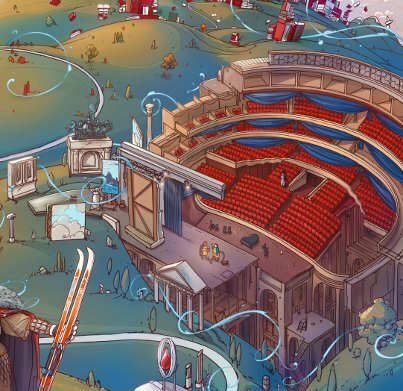 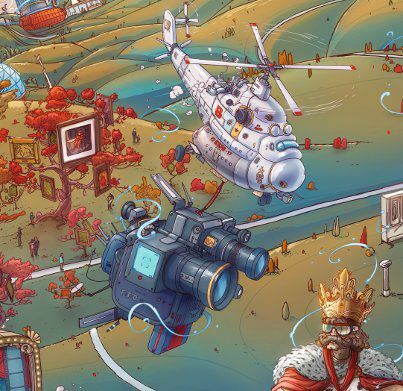 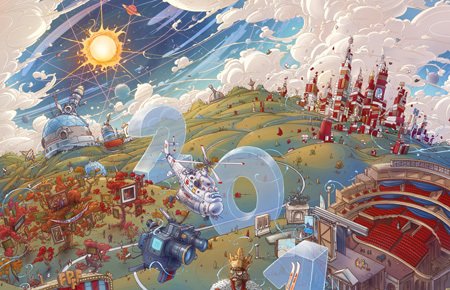 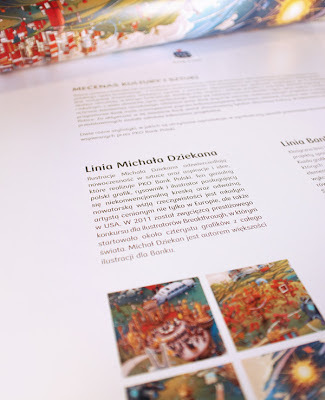 To top it all off, Michal created an incredibly complex illustration for their 2013 calendar, filled with mini scenes and vignettes that will used for the each of the 12 months.